Direct bolt on 3" catback exhaust. Features include hand tig welded 304 stainless, 89mm quad Strömung premium tips. 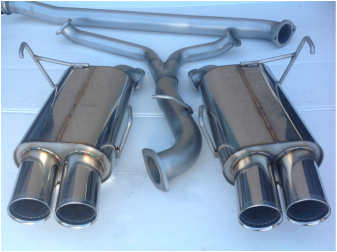 This exhaust truly enhances the styling, sound and performance of the WRX Sedan.